Roundtable Contributors: Princess Fee (DF'82), Estelle Hallick (This Happy Place), Alan Mize, Melissa Sue Sorrells Galley (Mouse on the Mind), Blake Taylor (BlakeOnline.com), and yours truly. If it’s Disney news you’re looking for, there is only one thing on the mouths of Disney fans this week, and that’s MyMagic+. While the concepts behind the NextGen program have been out there for several months, most of the information that was floating around was fairly speculative. It wasn’t until this week that Disney finally released an official announcement of exactly what MyMagic+ would be and how it might work. 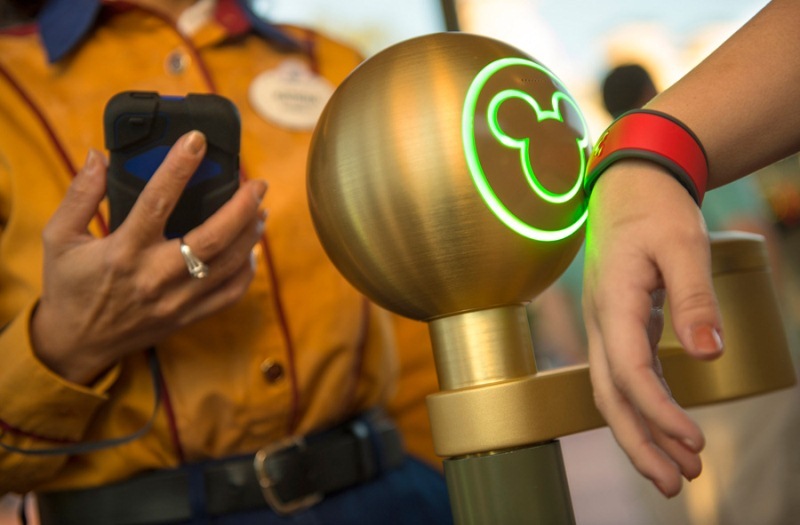 Essentially, MyMagic+ is the new way to vacation at the Walt Disney World Resort. It is a way to plan and design your vacation months in advance in order to attempt to maximize your experience. Simply put, it’s a dream scenario for Type A personalities everywhere! Now, as one of the aforementioned Type A personalities, I can handle having to plan details for a vacation. I’m not exactly a spontaneous person so I don’t have an issue with making ADR’s 180 days out. Having said that, I can sympathize with those that are dreading having to plan out dining, attractions, meet & greets, and parades six months before their vacation. I agree that planning to that degree is a little bit extreme. Perhaps the biggest complaint I hear about this is the potential for a Disney vacation to turn into a “Big Brother” scenario. Yes, with the inclusion of RFID technology, Disney can track my every move while I’m in their resort. But I truthfully don’t have an issue with that. I’m currently a DVC owner, a Disney Visa cardholder, and a frequent traveler to the Walt Disney World Resort. Disney already knows more about me than any other company in the world. From previous trips, they already know what resorts I like to stay at, what products I like to buy, where I like to eat, and they know that I love to go straight to Space Mountain the second I walk into the Magic Kingdom. They know all of that without RFID tracking so nothing will change here except that they can now track when I stop to take a picture of the Haunted Mansion and they’ll know how many times I stop to use the restroom. And if they are that interested in the intricacies of my bladder, more power to them. In life, I generally try to take a “wait and see” approach. MyMagic+ is new for Walt Disney World and as it rolls out over the next few months, I will be interested to see exactly what my future vacations will look like. Enough about MyMagic+! Let’s discuss some magic carpet bags and flying nannies. This week Disney Theatrical Productions announced the closing of Broadway’s Mary Poppins, currently playing at the New Amsterdam Theatre. Coming off a strong week of almost 90% capacity, the musical will close on March 3 after six years on stage in New York. Six years on Broadway might not sound like much, but with disappointing lifespans for The Little Mermaid (less than 2 years) and Tarzan (a little over a year), Mary Poppins proved to have an impressive run. (Can you believe only 4 actresses played Mary during its six-year run?) And who knows? Some are still holding out hope that this closing announcement will cause a surge in sales and the show will extend through at least the summer. If you are in the New York area, it’s the perfect time to bid farewell to Mary with the 2-for-1 ticket extravaganza taking place in the next few weeks. In the ongoing Avatarland saga, The Disney Blog reports an intriguing update that again points to Camp Minnie-Mickey being the future home of Pandora. 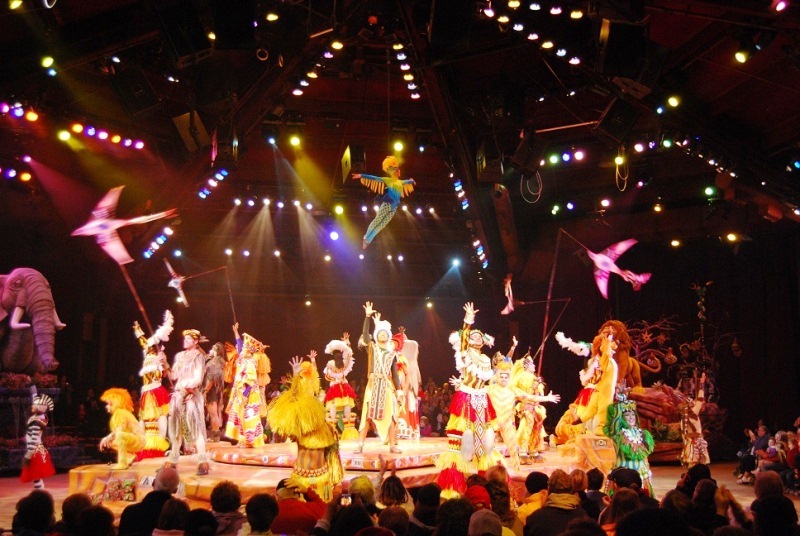 TDB cites paperwork from the Florida water district management agency of Festival of the Lion King being relocated to Animal Kingdom's Africa section, right near the Tusker House restaurant. It is unknown at this time when the move will occur, if any changes to the show's content will be made, or whether the building will be a completely new facility or simply a move of the existing theater. Pair this with Disney's tweet a few months ago about a new, indoor character-greeting location coming to the former home of Beastly Bazaar in Discovery Island, and the deal seems all but sealed. Disney hasn't said anything yet, but it would seem that Lion King will move to Africa and Mickey and the gang will move from their Camp Minnie-Mickey trails to the new character venue, leaving CMM entirely vacant to bulldoze and make way for the blue people. I still don't know how I feel about Avatarland, especially with so little information released yet, but the fact that Disney is putting value on one of WDW's best shows rather than accepting its 15-year stint as a satisfying run is wonderful, and definitely puts me at ease. Along with the most of us, it appears that Festival of the Lion King is not something the Imagineers want on an extinct-attractions list anytime soon. This week brought lots of news, but a quieter, less sensational story stood out for me this week: the report of a burglary in the Ticket and Transportation Center Parking Lot. A family returned after their day in the Magic Kingdom to find that their computer, GPS and a loaded gun were stolen from the car … not to mention all of their Christmas gifts. With the $15 bounty on getting into the parking lot, I feel that Disney should be doing more to protect the cars and belongings of guests in the Parks. There aren’t enough security guards in the lots, and there clearly aren't enough other security measures or these things wouldn't keep happening. A piece of news from my side of the Atlantic this week, and from Cheshire in England. Some never-before-seen hand-drawings from Walt Disney’s Snow White and the Seven Dwarfs will go on public display this week. The Tatton Park Antiques and Fine Art Fair will showcase these original drawings, which are from a collection that belonged to a former storyboard artist, who worked for Disney in the 1930s/40s. They include some beautiful images of the beloved dwarfs, as well as a hand-drawn Mickey Mouse image dating from around 1933. Be sure to check out the original news story, as there is a link to view some of the rare images! MyMagic+ has a lot of glitches to work out before everything goes live, but some of the technology being implemented is already causing headaches around property. Guests checking in beginning last Sunday, January 6, were given the ins and outs of the tap to pay system built into their room key cards. However, if you checked in before Sunday, like we did on Saturday, January 5, you were not given this tool. This didn’t stop Cast Members from telling us to tap our card and enter our pin, even after we had informed them we had not been given a pin prior to beginning our transaction. All of this culminated in Walt Disney World pushing back the roll-out date and limiting the availability of the process later in the week. This minor inconvenience for us was, I’m quite sure, a nightmare for front of line Cast Members who saw this continuously throughout the first couple of days of the latest guest enhancement. Every system has bugs to work out, and flow problems appear to be the major malfunction here, but I also think this is a great learning experience for Walt Disney World. Perhaps in the next phase, Cast Members and guests will be able to get things going on a bit of a smoother foot.